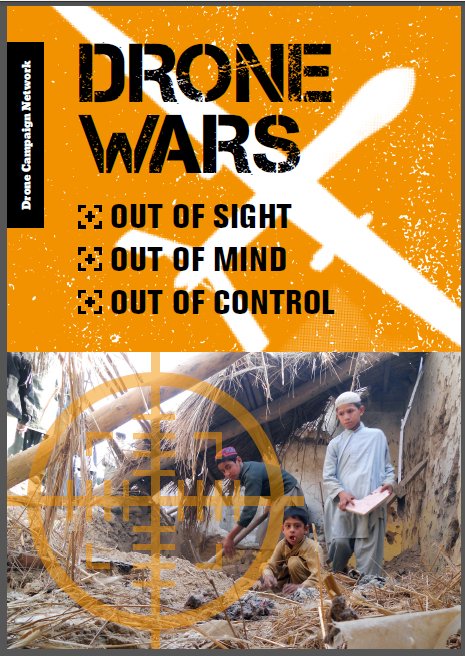 The use of armed drones in Syria, Iraq, Afghanistan, Yemen, Somalia and many other countries is increasing. This new weapon is already leading us into a state of perpetual war, where sending in drones is seen as an easy option by the military, many politicians and often the public too without thought to the consequences. We are lulled into accepting the myth that no civilians are being killed. The Persian New Year, March 21st, has become established as an excellent time to remember the millions of young people for whom the threat of drone strikes means an end to the simple pleasure of kite flying; a time when we can fly kites in solidarity with them. If you would like to make your own kites or run a workshop or simply find out more information see www.flykitesnotdrones.org (there is an excellent video in workshop 3). In 2019 we know of events at RAF Waddington near Lincoln, in Bradford, Hastings, Leicester, Harrogate and Galway City. There were probably many more. We have just heard of one in Warsaw! Here are some photographs. Warsaw, Poland. We have just learnt they have been holding Fly Kites Not Drones events for several years following a visit from Maya Evans! 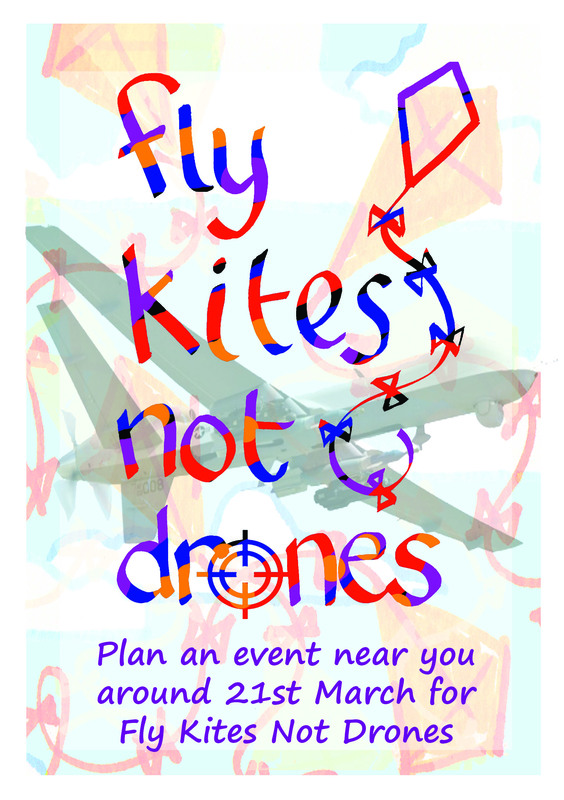 Order a Fly Kites Not Drones T-Shirt – new version now available! ADAR ANGAU CYC MASTER 2 from Lleucu Meinir on Vimeo. Pictures from some of the events in 2018. There was kite flying in England, Wales, Scotland, Ireland and the US.